Andrew Mitchell & Company Realtor® explains why it pays to downsize! A smaller home typically means a smaller mortgage payment, and nearly always means saving in utility costs and upkeep. Just think of the difference in paying to heat a 3,500-square-foot house versus a heating bill for 1,000 square feet of living space. Even something as simple as painting a room is cheaper when a space is smaller. That means more money in your bank account to spend on other pursuits – such as hobbies and travel. Spending less time on home upkeep like caring for a huge yard or even cleaning your house translates into more time to do other things you want to do. A smaller home requires fewer resources and leaves a smaller carbon footprint. Large homes generally need expansive heating systems and high-capacity or additional water heaters, while a smaller house requires smaller heating and cooling systems. And as a bonus, you’ll see increased energy efficiency by installing plenty of insulation and choosing energy-efficient appliances whenever you need to replace an old appliance. If you have a lot of old or useless “junk” languishing in your attic, basement, or garage, think about renting a Dumpster from a local company. The Dumpster will be dropped off in your driveway or yard and is yours for several days to fill with trash that you’re pretty certain no one will ever want, such as items that are damaged or moldy. Broken furniture, certain appliances, and unusable old clothing or linens are all candidates for disposal. Just make certain to dispose of hazardous items such as old paint, batteries, and electronics in compliance with your community’s guidelines.Store. You may have a few things that you would be willing to store at an off-site rental storage unit. Perhaps you have family heirlooms that you’d like to pass on to another generation but don’t have room for in your new home. Or maybe you have a large collection of documents that you’d like to archive somewhere other than your home. Items such as these might best be stored elsewhere. These days, the possibility of repurposing unused items is practically limitless. Curbside recycling aside, there are plenty of places to donate clothing, books, used household items, appliances, and even cars! Before you toss something in the trash, check around your locality to see whether there is a place where it can be retooled for someone else’s needs. One person’s trash can be another person’s treasure, and there are countless ways to sell items you no longer use, from flea markets to the church newsletter to eBay to Craigslist. Just remember to exercise caution when selling to a stranger. It’s best not to divulge too much personal information and if possible, agree to make the sale in a neutral location with plenty of other people around. Making the decision to downsize and moving to a smaller home can afford you a much-needed change in lifestyle. 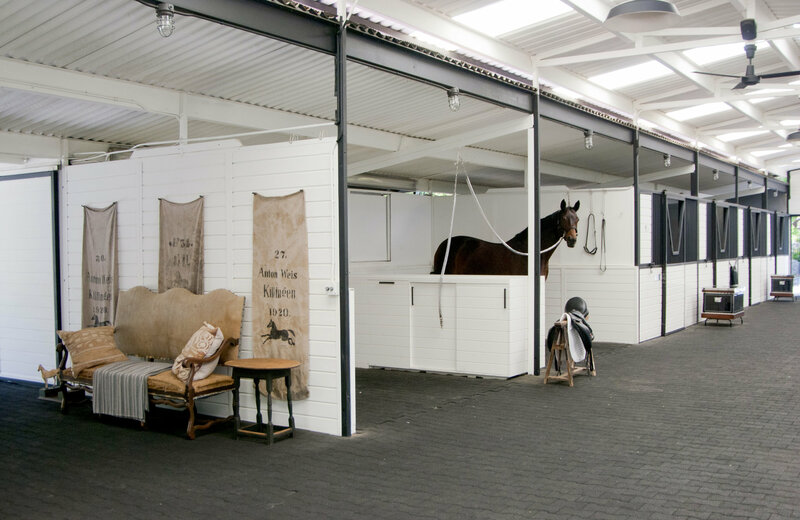 Living in a smaller space can be emotionally therapeutic as well as physically cathartic. Smaller, more affordable homes can also be easier to sell when you decide to make your next move. If you’re thinking about downsizing, talk to your real estate agent to learn about your options – you may be surprised how much the market opens up to you when you start searching for something smaller. Julie O’Neil Dolan is a Concord native, resident and realtor Andrew Mitchell & Company. Visitjuliedolanrealtor.com for information. Anyone who has ever sold a home probably has heard a lot of buzzwords, including many references to "curb appeal." If you're selling, you want the front of your house and your lawn to look terrific for anyone passersby who might see your For Sale sign and think about returning to pay your house a visit. 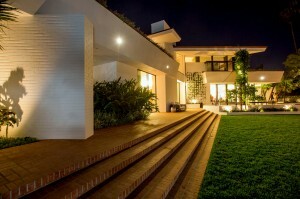 And great curb appeal makes for a great first impression for anyone booking a showing. So what can you do to set your home apart from the rest? Spring is one of the best times to launch into making your property look great. Not only does the market heat up in the spring, but so do temperatures, making it much more appealing to get out into the yard and do some landscaping or hire a service, if the great outdoors is not your thing. Make sure that you cover the essentials. Winter is hard on the outside of your home. Take care of any overflowing or dilapidated gutters, clogged drain spouts, and damaged siding. A power washer is great for getting the gunk out from between steps, bricks, or pavers and can also help clean off dirty siding or roof tiles. Haul off fallen branches or any other debris left behind by winter storms. Hose off walkways and decks that have accrued sand, dirt or ice melt during the winter months. Once the grass starts to come in, it's important to keep it groomed. If you have a large yard, hiring a landscaping service can be a tremendous relief, even if it's just for the duration that your house is on the market. Perennial plantings will start to bud, and you'll want to keep them in check, deadheading and removing any flowers that wither. Don't forget to prune bushes and cut back any dead foliage or branches that are left over from the winter. One of the most appealing aspects of spring is the return of color to a grayed-out landscape. Start by mulching your flower beds and areas around trees. Many homeowners enjoy planting annuals each year, and the pop of color provided by flowers can really make a property shine. If gardening isn't your thing, add some color with pots of flowers or window boxes procured from the local nursery or invest in a seasonal door wreath. It's not a bad idea to buy a wreath for every time of year or holiday; you can store all of them in your attic or basement and change your wreath according to the seasons. Paint can also enliven the outside of your home. You don't have to paint the entire house; consider sprucing up the front door, trim, the mailbox, the railings, the deck, or anything else that has weathered over the winter. Accent colors that pair nicely with your siding can provide that "pop" of color that makes your home stand out from the other houses on the block. A little thought and a pinch of creativity can do wonders when it comes to enhancing curb appeal. You don't have to go crazy. Investing a little time and money can go a long way toward making your house stand out from the crowd and making that sale. Julie O'Neil Dolan is a Concord native, resident, and Realtor® with Andrew Mitchell & Company. For information: juliedolanrealtor.com. Located in Concord's historic railroad depot, 80 Thoreau describes itself as a "progressive fine-dining restaurant." This local favorite was opened by Ian Calhoun, a Concord native who spent time living Paris and studying cuisine at the prestigious Le Cordon Bleu. The menu at 80 Thoreau is relatively simple, with delicious American and Mediterranean options refined by French techniques. While the inspiration for many of the dishes comes from overseas, the ingredients are local, sourced from several of Concord's commercial and family farms. il Casale comprises two amazing restaurants, one in Belmont and the other in Lexington. Both locations serve up world-class Italian food and wine in a warm, upscale setting. il Casale Belmont operates in a converted firehouse. The building's original exposed brick, creates a rustic, old-time environment that matches the classic authenticity of the menu items. The Lexington restaurant is located in the heart of Lexington Center and provides visitors with an equally enjoyable dining experience, but unlike its Belmont counterpart, the Lexington location's menu is focused specifically on the Campania region Italy. This beautiful area of southern Italy is where the de Magistris family, owners of il Casale, first began cooking generations ago. Many of these coveted recipes are included in the rotating menu at il Casale in Lexington. 51 Lincoln is a creative, New American restaurant in Newton Highlands. Over the last decade, 51 Lincoln has received numerous accolades, including winning the Improper Bostonian's "Best Suburban 2009" and "Best Charcuterie 2012", as well as being named on of the "50 Best Restaurants in Boston" in 2011 by Boston Magazine. The menu at 51 Lincoln offers excellent wine, cheese, charcuterie options to start and succulent seafood options like miso seared scallops and Faroe Island salmon for entrees. Other popular menu items include the "chef's famous" rigatoni bolognese and the pan seared rib eye steak. Chef Ming Tsai of Blue Ginger in Wellesley has created gourmet Asian-inspired meals for almost two decades. In its first year of operation, Blue Ginger was named "Best New Restaurant" by Boston Magazine and has continued to receive accolades ever since. Some of the most popular menu items include the Garlic-Black Pepper Lobster and the Sake Miso Marinated Alaskan Sable Fish. The ambiance of the Blue Ginger effectively complements its cuisine, with beautiful Vietnamese waterscapes and metal art by Charles O'Neil. Looking for a home in Stow, Concord, or Natick? Check out some of our open houses this weekend! With the house hunt starting online these days many people feel the need for a real estate agent is obsolete. That is far from the truth! Here are 5 Reasons to hire a real esate agent! The weather is slowly getting warmer and sales are heating up! Here's some highlights of the properties we closed in May. If you're looking to Buy or Sell don't hesitate to contact us today! Start searching all real estate for sale! Fall has arrived bringing its rich colors and crisp air with it. We’ve found some great ideas courtesy of Better Homes and Garden of getting your porch ready for the season! This super food can do it all! 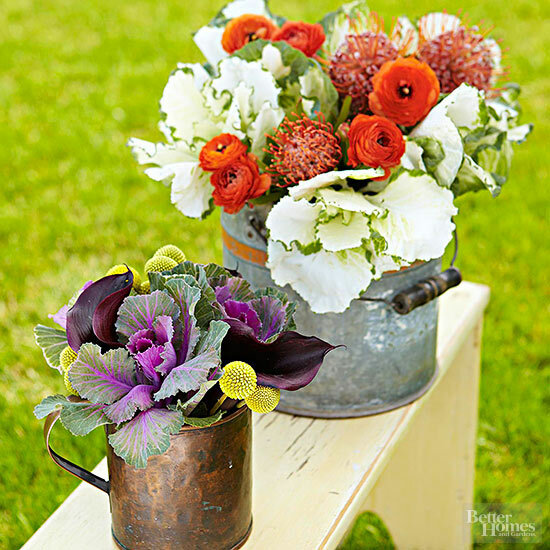 Add some kale to your fall planters to add a touch of green. Let your creativity shine! Wreaths come in so many different varieties. 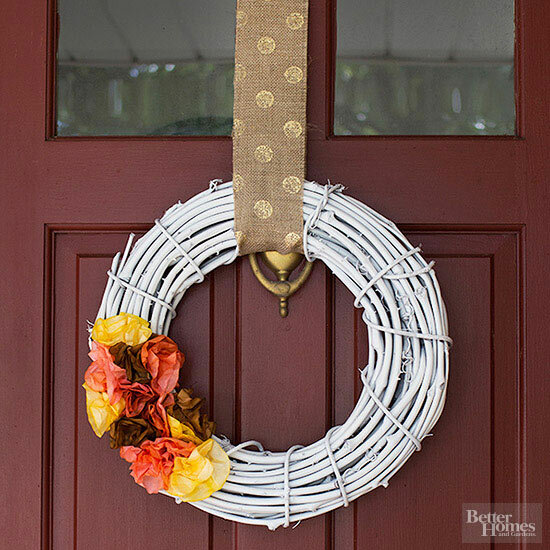 Whether they’re made from burlap, coffee filters, or grains, they’re a great addition to any door. 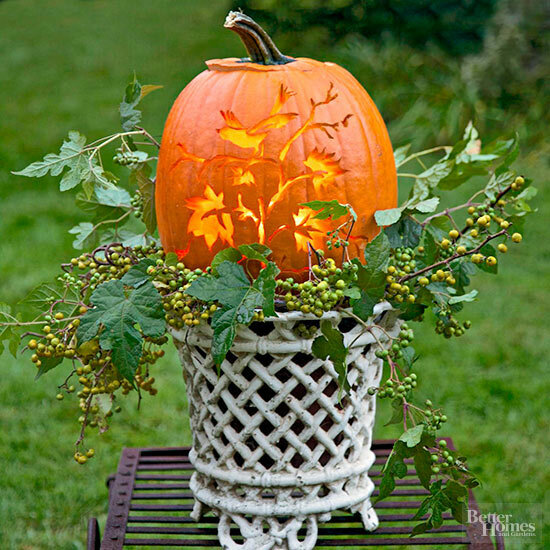 They may be simple and classic staple to fall decorating but there is no stopping what you can do! Try stacking them on a decorative chair. Or personalize them with a fun carving or two! For more ideas check out Better Homes and Garden online! Gone are the days when newspaper ads and billboards were an agent or a brokers strongest advertising tools. There are two words that form the bottom line for the modern real estate professionals market exposure: online presence. While you can argue that other advertising tools are not quite dead in terms of importance, an agents online presence is rapidly beating out all other types of advertising. Why? Because somewhere between 80 and 90 percent of home buyers (depending on age groups, demographics and the research source) start their search online. So, while some agents may swear by their direct-mail campaigns that they have used for decades, the modern client is changing, and so too must the modern agent. In fact, this is one of the core principles that Andrew Mitchell & Company was founded upon. We encourage agents to evolve with the times for the best success they can experience. Past real estate practices will not result in future real estate clients. And, a lot of this boils down to a great website and a great online presence. Thats where buyers are, and thats where you must be. Your website is, often times, your first impression to your clients. It allows them access to your information, your testimonials and the tools you have available for them. It also allows for a much wider reach. At Andrew Mitchell this is one of our very top priorities for our agents. While agents bring their talent and experience, we give them the tools they need to boost their business and best serve their clients. To see what an Andrew Mitchell Real Estate website can offer you in terms of online presence and client tools, check out our demo site today: www.agent3.andrewmitchellco.com. In addition to having a great website to function as your online appearance, we can also help agents bump up their site in search engine results (search engine optimization), find tons of effective online ad space (often times free) as well as analyze the specifics of your online visits (how many visitors, when, from where and for how long). So, stop living in the past and learn how you can boost your business through your online presence with Andrew Mitchell. Feel free to give us a call or send an e-mail our way. Daytime talk show host and Comedian Ellen Degeneres has kept herself and many Realtors, Architects, and decorators busy as she's bought and redone over a dozen homes in the area. Degeneres admits that she loves real estate, explaining, "I somehow manage to find out what's on the market everywhere. People come to me. I like looking whether I'm buying or not. I love real estate." But she's not the first celebrity to have an interest in real estate. Diane Keaon has a taste for historic homes, while Brad Pitt and Frank Gehry came together to build affordable housing in New Orleans post Katrina. Degeneres is taking her interest one step further and teaming up with HGTV (I'm sure you've heard of them) for a six-episode design show. Appropriately named Ellen's Design Challenge, the show will feature contestants who will compete to build furniture. The show is slated to air next year. There is no word if Ellen plans to use any of the contestants furniture in her own home, or if it will be made available to the public. To read more about the properties that Ellen and wife Portia de Rossi have renovated head on over to the New York Times.